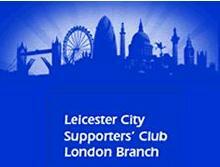 Leicester City Supporters' Club (London Branch) was founded prior to the 1977-78 season. Membership is currently around 80 and covers primarily London and its bordering counties. The core activity of the club is centred round travelling together to home and away matches. Most journeys are by train with discounted trips being organised outside the Network South East region. A fast train to Leicester takes about 1 hour 10 minutes (hopefully) from St Pancras. The fare for 2011-12 is £27.00 return - including a reserved seat. The club has a darts team and we play against London Branches of other Supporters' Clubs. The standard is "varied". The branch website is http://www.londonfoxes.com.